Step 2 Determine the question in each testlet. Please download the template file for steps 2 to 5. Step 3 Determine the content of items in each testlet. 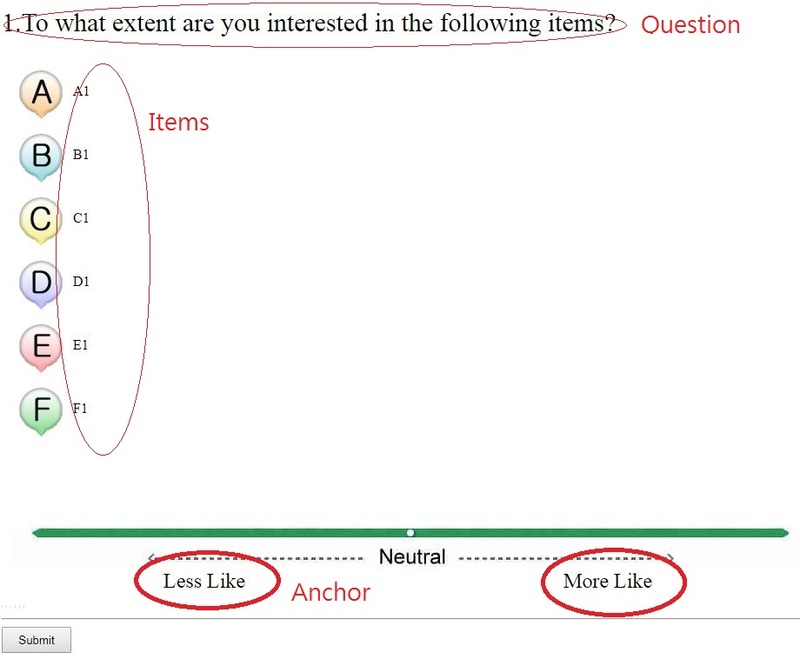 Step 4 Determine the anchors for the scale in each testlet. Step 5 Determine the number of testlets in the whole scale. Step 6 Upload the template file. Step 7 Administer the scale. Enter the file name for the scale. Enter the Instruction for the participants. Enter the password for allowing participants to answer the scale. Enter the password for accessing the record of responses or changing style.